A sweeping two mile pebble beach and harbour set against cliffs to the north and the west. There are great rock pools to explore, you may see the odd puffin on the coastal walk, and Bouley Bay is the unofficial home to scuba diving in Jersey. 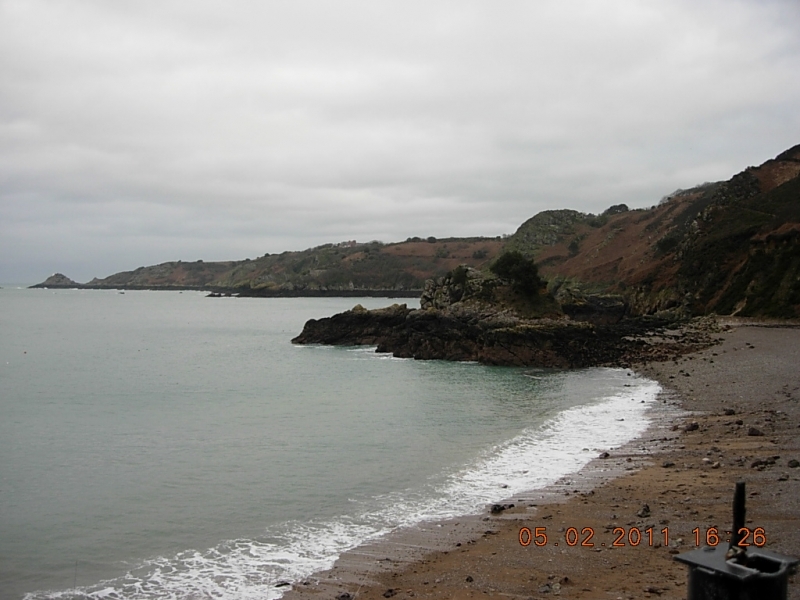 The tide at Bouley Bay is currently falling. Low tide will be at approximately 3:07 AM tomorrow, and the next high tide will be at approximately 8:39 AM tomorrow. Free car parking is available for up to 20 cars. including disabled spaces. Beach manually and mechanically cleaned daily during the summer. around 2 miles east as the seagull flies, around 3 miles by road. around 5 miles south as the seagull flies, around 7 miles by road. around 5 miles southwest as the seagull flies, around 7 miles by road. around 7 miles west as the seagull flies, around 9 miles by road. around 2 miles west-northwest as the seagull flies, around 3 miles by road. Visitor information for Bouley Bay, Jersey, Channel Islands. Weather, tides, visitor comments, beach facilities, photos, nearest postcode, beach information and nearby accommodation.